Getting a haircut or shave needn’t be a chore. In fact, heading to a barbershop should be a luxurious experience. 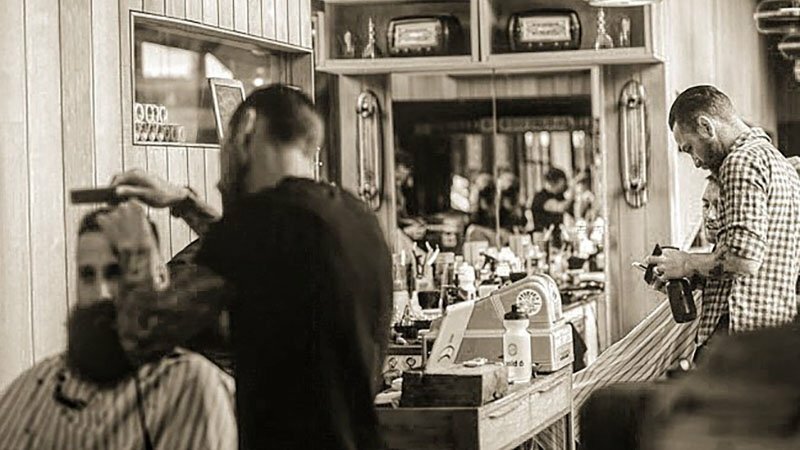 Harking back to the good old days when gents looked forward to the barber, a new crop of Melbourne shops are doing things right. 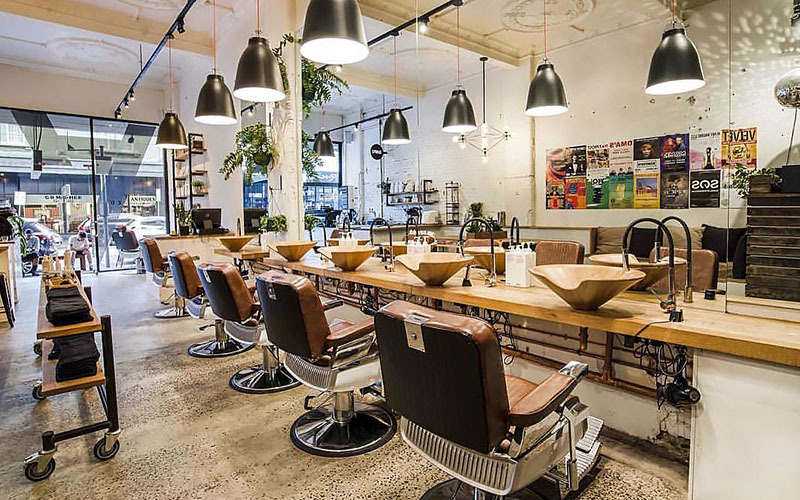 Whether you’re looking to sip on whisky while getting your hair cut, relax with a classic hot towel shave, or pump things up with some modern DJ beats during your visit, here are the best barber shop in Melbourne to visit today. The Bearded Man is serious about one thing and that is hair. With a team of award-winning barbers that live and breathe hair, you are not going to leave disappointed. You won’t get an apprentice or junior cutting your hair as out of all eight barbers the least experience in years is five. On top of getting the best haircut, you will receive delicious Industry Beans coffee with an in-house barista and music that will never disappoint. Uncle Rocco’s is an old-school barbershop in the industrial area of Port Melbourne run by Fabian Sfameni a third generation barber who established three of his own shops in Melbourne since 1996. 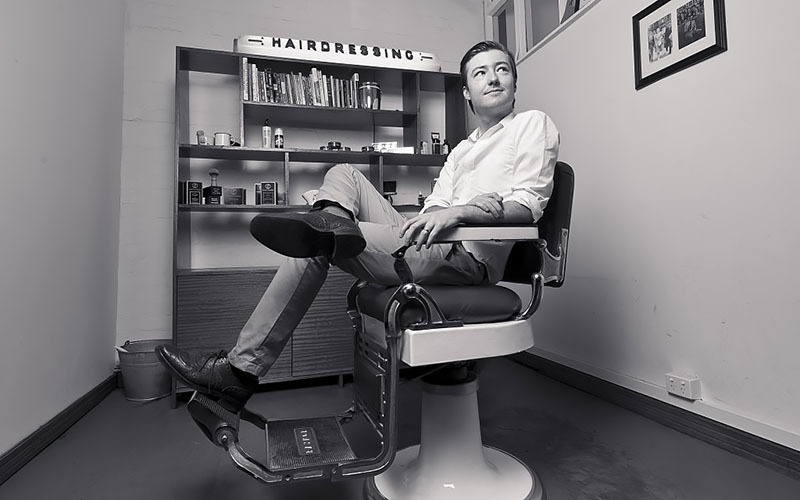 Fabian has honed and developed his own personal style and skills over the years and his passion for barbering has inspired him to provide his clientele with the highest standards paying special attention to quality and personalised customer service. With the desire to expand this passion beyond barbering to men’s grooming and other style conscience products, the brand Uncle Rocco’s was born. The barbershop name was taken from Fabian’s third shop in Port Melbourne which is named after his Uncle Rocco in New Jersey, who was also a barber for more than 50yrs. 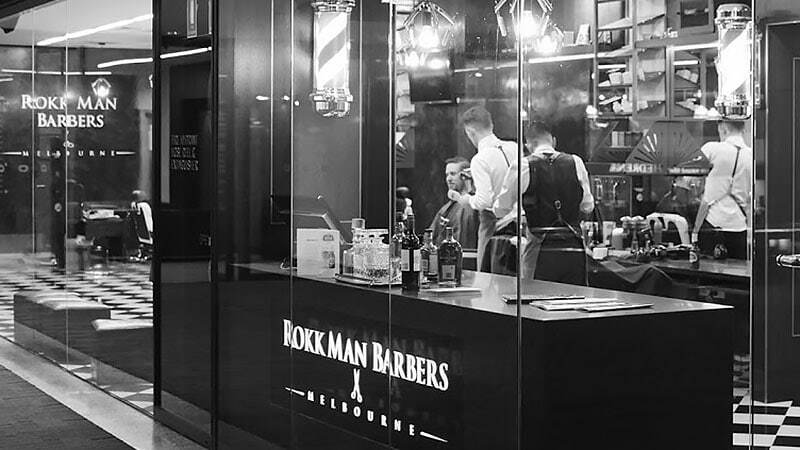 The Rokk Man Barbers are a new contemporary barbershop located in the heart of Melbourne’s CBD and Toorak. The salons offer a hot towel shave service, beard trims and premium men’s haircuts, including skin fades and clipper cuts. They have created a relaxed male space where you can sit and unwind with a fine selection of beer, spirits or wine. For the time poor gents, there are 30-minute appointments. All the Kings Men recently celebrated nine years in the biz and is still going strong. Known as a gentlemen’s Haircutters, the barbershop is popular for its ability to put the art back into male grooming. Combining a nod to tradition with a quirky edge, All the Kings Men knows what it takes to provide a proper cut and shave without any stuffiness. 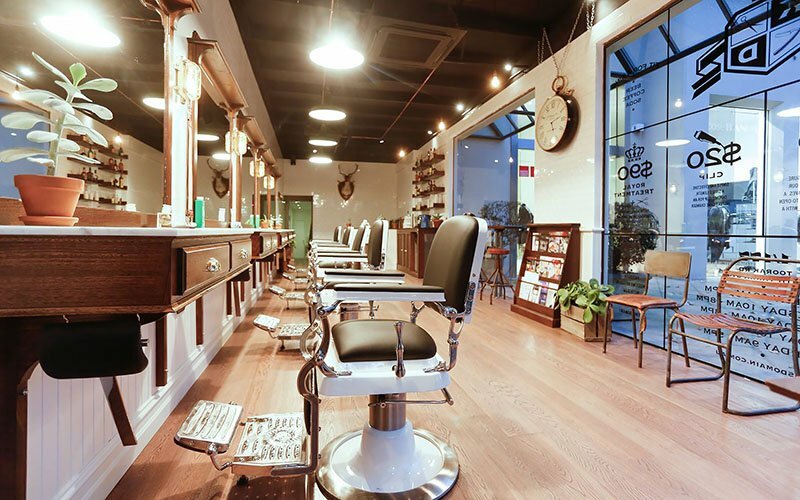 Located on Queensberry Street in North Melbourne, All the Kings Men is but a stone’s throw away from the CBD. Simply pop on down when you have some spare time. No appointment necessary. Captains of Industry is so much more than just a barbershop. As well as being a top place for a haircut or shave, it’s also a great spot to grab a bite to eat for breakfast or lunch, purchase leather accessories and bespoke footwear made by hand to your exact measurements, and pick up pieces of contemporary and fine jewellery. Located in a tucked-away spot in the heart of Melbourne, Captains of Industry has a distinct and charming, old-world ambience. Like you’ve found your way into a secret club, you’ll quickly want to become a life-long member after stepping foot through the front door. 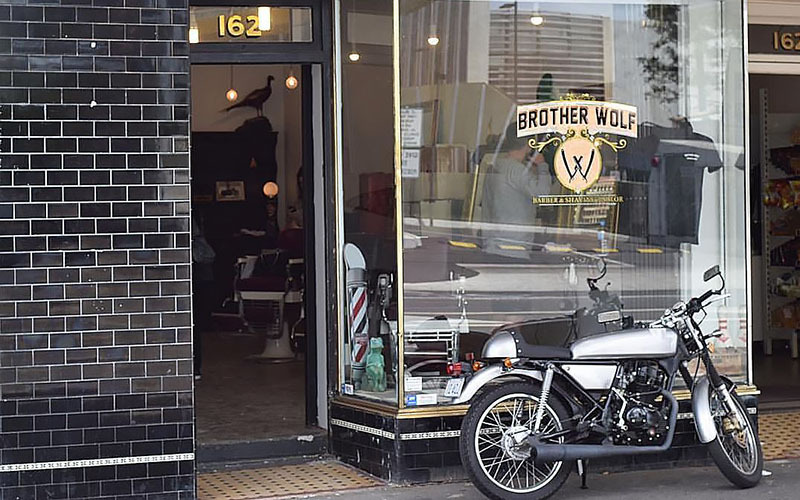 Whether you’re looking for pomp, quiff, contour, fade or hot towel shave, Brother Wolf has you covered. A favourite amongst locals, Brother Wolf is experienced at releasing the dapper potential in all lads. Along with excellent service, this barber and shaving parlour also offers that old-world feel you’ve been after. Head in and immediately be transported back to yesteryear when the barber shop was also the social club. Sip on a beer, savour a whisky and shoot the breeze as you relax and get spruced up at this local gentlemen’s hub. King’s Domain is adept at offering gents the royal treatment. Providing excellent service and distinguished quality, this barbershop will always leave you feeling like you rule the world. With every service including a hair and scalp consultation, as well as product recommendations, you’ll be sure to get a properly tailored experience at King’s Domain. If you’re looking to break from the crowd and express your individuality, then Little Rebel Collective is the place for you. Specialising in looks that express their clients’ personalities, the team here will give you the confidence to try that style you’ve been thinking of. Rhia is the stylist and barber on hand, creating killer looks for both gents and ladies. With over ten years of experience, she’s a real pro with precision cuts and barbering. Located on the iconic Johnston Street, Little Rebel Collective has that true Fitzroy feel. Creative, edgy and filled with energy, this spot is as cool as the suburb in which it dwells. 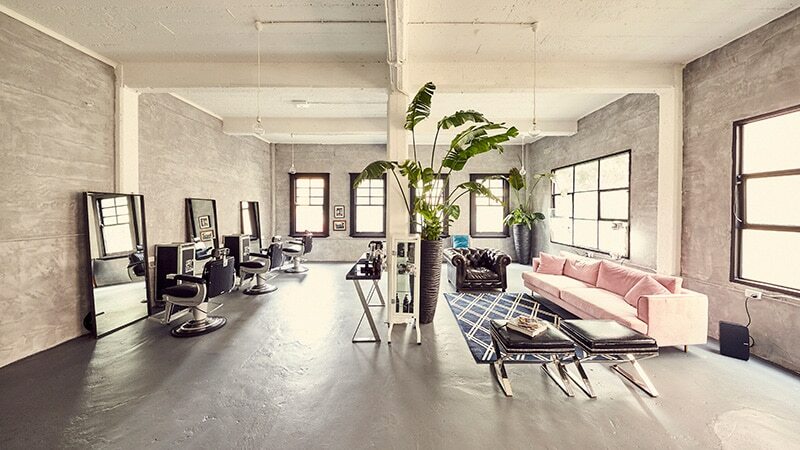 Located in the heart of Melbourne’s CBD, Men+Co is the perfect place to sit back, relax and get a great haircut. But, that’s not all that’s on offer at this premier barbershop. 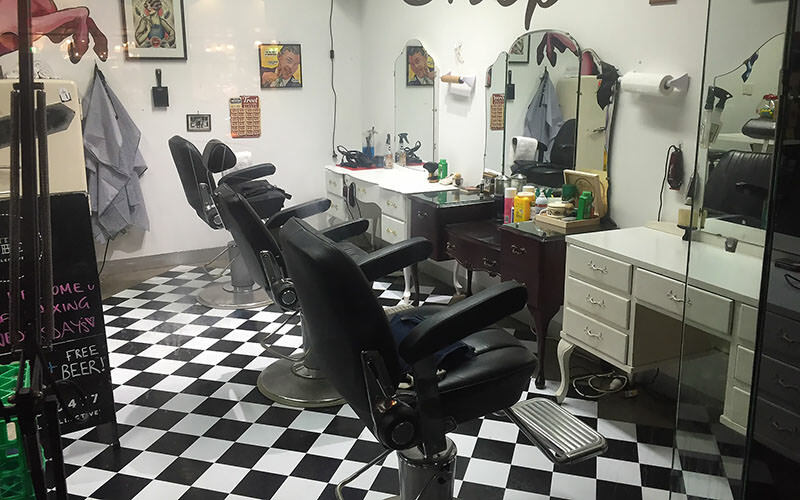 The studio’s talented team can also provide you with a straight razor shave, shoe shine, and even a glass of whisky if you wish, and the perks don’t stop there. Men+Co’s signature membership programs offer even more luxury to its well-groomed clients. Ranging from silver to black, these memberships turn the average gent into a bona fide VIP with a variety of bonuses, such as prioritised appointments as well as complementary products and gift vouchers for top-tier members.